The charming iron bridge frames what is a truly magnificent setting for the heart of the town. Left: Majestic Cafe on Rua Santa Catarina. 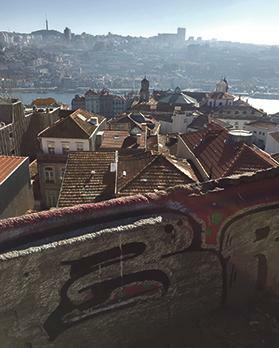 A magnificent view of the river across the rooftops, where one can admire the colourful walls full of graffiti. Starting next month, Ryanair will be operating direct flights between Malta and Porto. Previously Porto was difficult for Maltese people to explore, as it involved a flight to Spain and then a long drive. 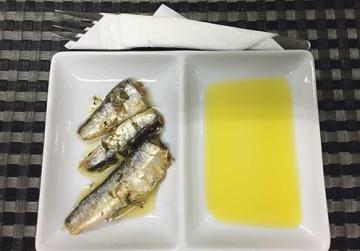 With direct flights, Maltese can now enjoy Portuguese food in the beautiful harbour of Porto, while Porto residents can swim in Malta’s warmer waters. Arriving at the airport, it’s a short metro ride to Trindade metro station, where my apartment with Porto Concierge is booked. The company currently manages 490 air bnb apartments, so it has just about any kind of apartment you might desire. The founders of Porto Concierge, Luis Carvalho and Rui Silva, used to work in IT and had no idea how high demand would grow when they started. An employee of Porto Concierge met us at the apartment to check us in and I was impressed. The apartment was modern, well-equipped and clean. Turning my iPhone map on, I also discovered we were well located, only half an hour away by walk from the port. After dropping off our bags, my friend and I meandered down the main road, soaking in the night life along the way. Wandering down an alley way and arriving into the breathtaking port at night is a great start to the trip. The lights sparkle along the river and the charming iron bridge frames what is a truly magnificent setting for the heart of the town. 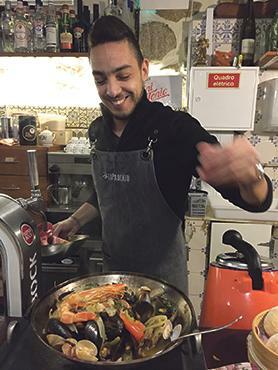 There are numerous restaurants along the banks of the Douro, most of them offering a plethora of fresh fish and traditional Portuguese dishes. We parked ourselves at the Wine Quay bar where there was a happening atmosphere and indulged in Portuguese wine and cheese. The next morning, I shamelessly looked online for the top 10 things to do in Porto. 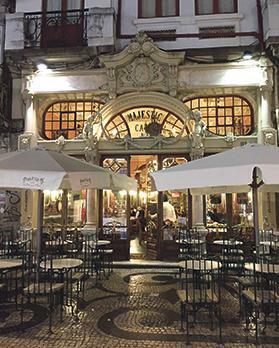 Majestic Cafe on Rua Santa Catarina appeared online as a place to go and is where high society revolutionaries are said to have frequented in 1923. We were pleasantly surprised by the grandiose decor as we opened the gold-plated doors to the ornate entrance. History and decor aside, the coffee and Rabanada French toast served were outstanding. From the Majestic Cafe we walked back down the hill to the port. It’s even more beautiful in the day time. We took a boat ride on the Douro, venturing further out into the bay. 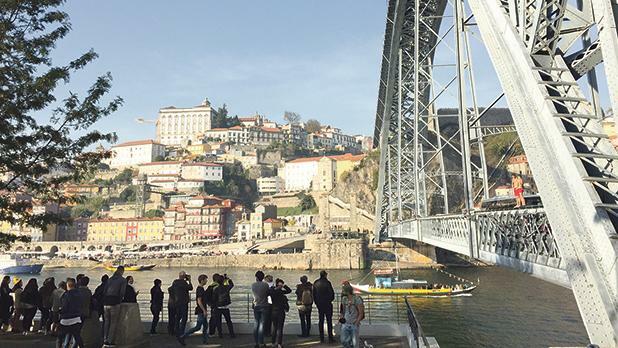 After our ride we booked a port wine Lodges tour and met our guide on the Porto side of Luis Bridge. She took us to three port houses in Gaia, the region on the other side of the river. I loved the history of the Ramos Pinto port house, in particular. The seven wine tastings of white, tawny reserve and ruby port were delicious. The tour is a real bargain – on Viator for only €22. A final highlight was finishing at the Santa Cruz 360 rooftop bar. We soaked in the views of both Gaia and Porto while sipping cocktails to the music of the in-house DJ. Slightly tipsy, we left the bar to cross back to Porto but just before the bridge is a little cafe with a sign outside saying ‘The best Francesinha, in all of Portugal’. Francesinha is a Portuguese sandwich made with bread, wet-cured ham, linguica, sausage and steak covered with melted cheese and a hot, thick tomato and beer sauce. This deadly combination even gets served with French fries. Porto is a lot about food and wine. Because we hadn’t tried one before, we had to stop and try it. We shared one between us and felt slightly ill. It was not that tasty so I am surprised it’s such a popular dish. It was then that we realised that while it was a downhill to get into the port, it was uphill all the way back. At least we had the chance to get rid of the Francesinha – finally off our hips. On the third day we started to realise that Porto is a lot about food. We wanted to avoid another ‘best Francesinha experience’ and decided to do the food thing properly by booking a downtown food tour with Taste Porto. This is a charming way to learn about the Downtown area while enjoying local culinary specialties. The tour started at 10.45 am with the first stop being the Loja dos Pasteis de Chaves, a traditional pastry place offering flaky, sweet and savoury pastries from the city of Chaves in northern Portugal. I had an amazing sweet pastry and I’m glad I informed the tour that I am mostly vegetarian, as a lot of the traditional food is meat-based. It was good that I did not have breakfast, as the Loja dos Pasties pastry hit the spot and we had three more hours of eating to go. We then went to the Mercado do Bolhao, the local market, which is alive with Portuguese culture. Farmers come to sell their fruit and vegetables and you have fish, meat and souvenir shops. Much to the chagrin of the locals, the mercado is going to be rebuilt this year for health and safety reasons. So we got to see it before it closes down for renovation. Our guide Sergio moved us on quickly from there to Flor dos Congregados, the home of the pork loin and cured ham sandwich paired with Portuguese red sparkling wine, where I could focus on the red wine and incredible local cheeses. The wine is refreshing, not too sweet and you can taste the rich, dark red amid the sparkle. Cafe Guarany, which is owned by the same group as Cafe Majestic, was our next stop. No need to argue here, both coffees are great, but the decor at Cafe Majestic is indeed more ‘majestic’, so it wins as the best cafe to visit. Our guide then took us down the back streets to the port, so we could enjoy the most magnificent view of the river across the rooftops. We passed colourful walls full of graffiti and ended the tour at the Taberna do Largo, washing down cured meats, cheeses and olives from selected local producers with, of course, port wine. The tour costs €62 but is worth every penny. We were in the port area again, my favourite part of town, from where we took a tour of the Palácio da Bolsa. This is an incredible palace built in neoclassical style by the merchants of the city. Each room is a wonderful discovery. The Salao Arabe, the most beautiful room, can be rented out for various functions. From the palace we headed back to Livraria Lello, a library our guide Sergio, from Taste Porto, had explained is famous because it is frequented by author J. K. Rowling. Sergio says the library is believed to have been the inspiration for the author’s Harry Potter series, and that Rowling comes back often to give book signings. The library is worth queuing for. Entrance costs only €5 and will deducted from any book you might buy there. After the library, we found ourselves back at the São Bento railway station. This is a 19th-century railway station in the heart of Porto in Cedofeita, that’s covered in beautiful tiles of historical significance. It was already 8pm, so we had almost walked off our food from the tour. We decided to go to Tapo Bento, a non-descript restaurant tucked into an alleyway next to the station. If you go there, you must try the peanut butter soufflé and the tuna. Malta is small, but Porto is surrounded by large rural regions where you can cycle, kayak or go on nature walks. We travelled an hour north by bus from Porto to a small town called Caminha, which features a host of outdoor activities. We stayed at Rinoterra, a beautiful hotel on the top of a hillside that looks over the ocean. The hotel recently built amazing spa facilities, has a swimming pool, bikes and even an electric car for guests to use. It is close to a beach called Praia de Moledo and backed by the forests of the Camarido national park. One is spoilt for choice and can go walking, horse riding or kayaking along the river or the sea side. 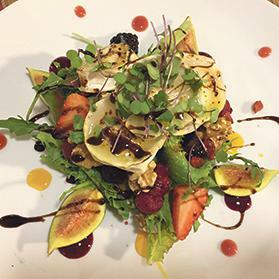 The hotel is perfect for nature lovers, but also for foodies. 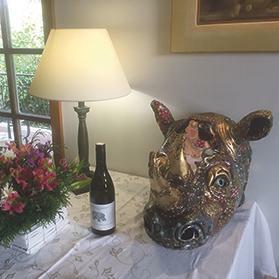 It offers a half-board package and its chef, Ana Guimarães, creates superb dishes, often with a unique twist on traditional recipes. One night we spoke of our disappointment with the Francesinha to the friendly Rinoterra staff. They were horrified to hear that we didn’t enjoy the famous dish properly and recommended we try it once again at Cafe Santiago, back in Porto. We went out of our way to get to this cafe on our way back to the airport. I had a whole one to myself with a local beer, which was so good. I can now leave happy, knowing I had the real experience. I feel my trip to Porto accomplished everything that a great food and action vacation should. We chose to enjoy Porto first and then go to Caminha, but one can also enjoy Porto for the day and ‘go home’ to the quiet and luxury of Rinoterra.